Carole's Chatter: A punny sign - are you a chocoholic??? 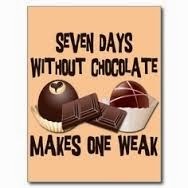 A punny sign - are you a chocoholic?? ?